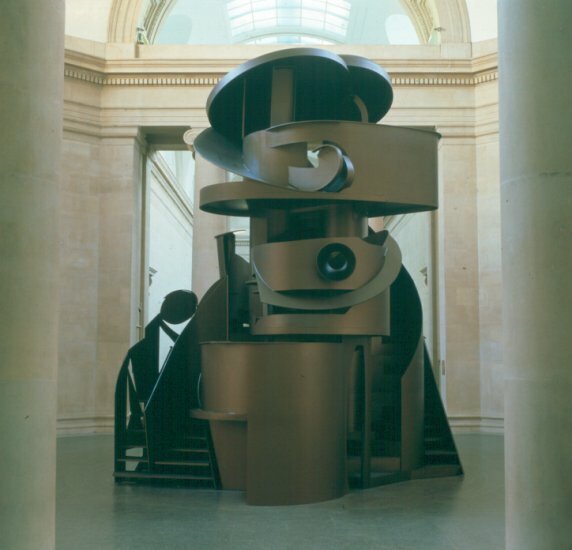 Relentlessly experimental British sculptor Anthony Caro was interested to make a sculpture that was also architecture, and a sculpture that had no inside or outside. 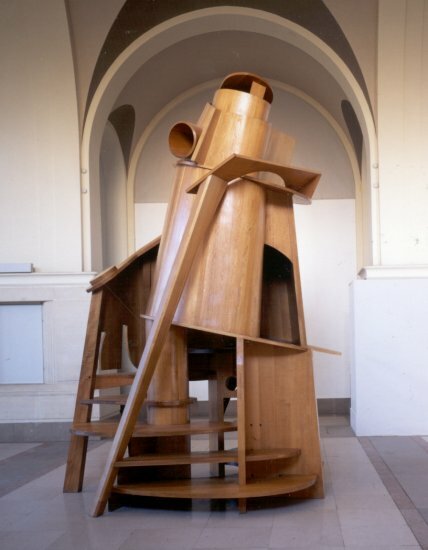 And so in 1983-4, he made a playscape-like sculpture you could enter [if you were under four feet tall]: Child's Tower Room. It's around 4m tall and made of polished oak. By the time he scaled that up for the Tate in 1991, and created the 7m-tall Tower of Discovery, Caro had workshopped some stuff with Frank Gehry. Caro figured that Gehry was a sculptor at heart, while he himself, the actual sculptor, was most interested in the experience of moving in and through his "sculpitecture" structures. Which was apparently not interesting enough for the Museum of Contemporary Art, Tokyo, who slapped a couple of color-coordinated barriers on Tower of Discovery in 2012 and, what, assumed no one would notice? What an embarrassment. One hope this wasn't the Cass Sculpture Foundation's idea. I'd hate to ramp up the kid's expectations for a wild, sculpture-climbing trip to West Sussex, only to have her hope's dashed on a steel fence. 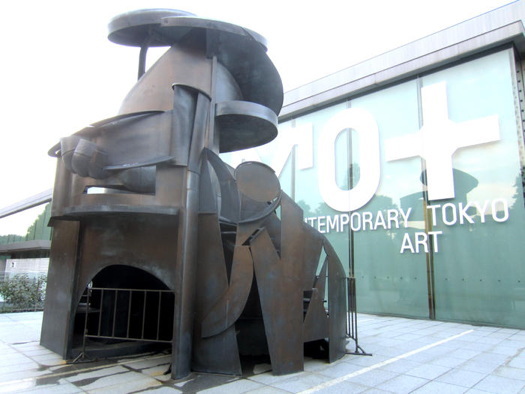 Child's Tower Room is currently on view, and climbable, at the Hepworth Wakefield in Yorkshire.